While scrolling through my Facebook newsfeed I came across a funny post courtesy of the geek culture king, George Takei. 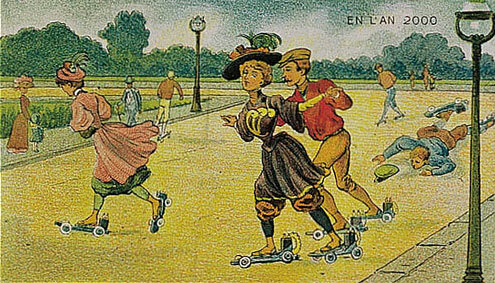 It made me laugh because even though modern fashion can be weird at times, we’re a long way off from wearing that. 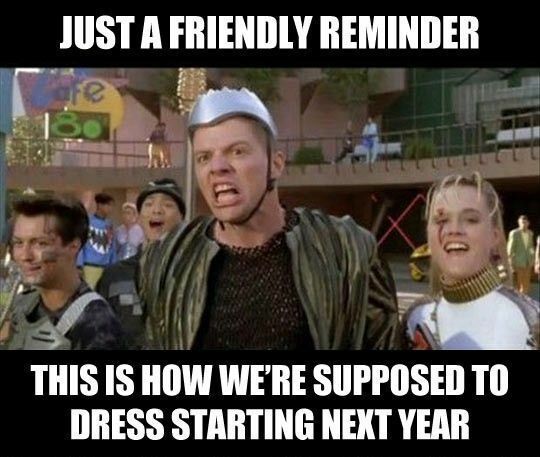 I have my own issues with 80s fashion anyway so this prediction is pretty funny. It’s futurism at its best! For those who don’t know, futurism is when you are concerned with the events and trends of the future, or which anticipate the future. 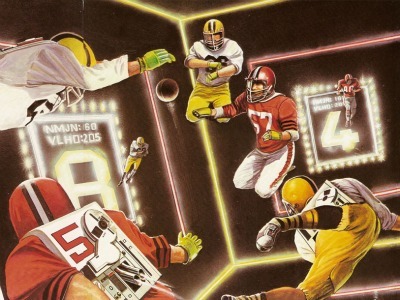 This made me think, are there any other equally strange predictions out there? 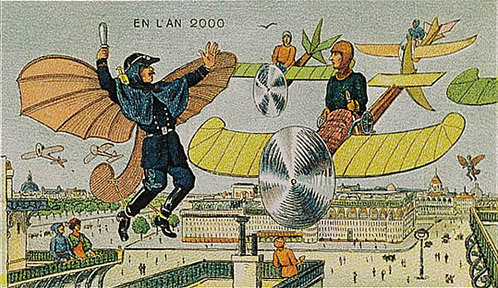 The French artist Villemard drew in the 1910s what he thought the year 2000 would look like. 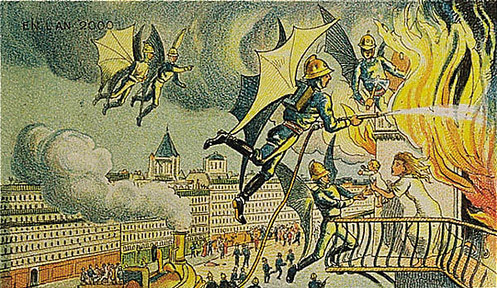 Many in the early 1900s thought that the future was in the sky, which isn’t too far from the truth. However, I’m still waiting for my hover car. Get on it science! 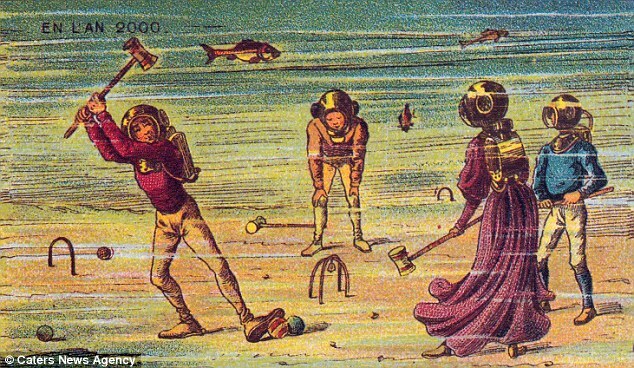 Also make underwater croquet happen. …what kind of drugs were they smoking, again? What if Bioshock’s Rapture were real? 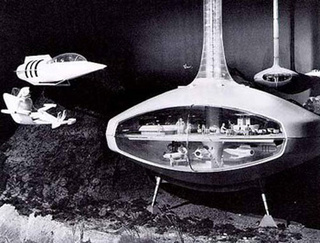 In the 1960s, it was thought that the next frontier was underwater. Much like the gold rush that moved people to the west coast of the U.S. in the 1800s, engineers believed that a similar thing would happen in the depths of the ocean with oil and other minerals. They took it so seriously, in fact, that General Motors’ booth at the 1964 World Fair in New York City had an entire exhibit dedicated to underwater home designs (picture above). While researching this topic, I came across this gem. Ads in the 1960s are the best. I always love hate how wonderfully sexist they are! Be sure to watch the other parts too because it only gets better!